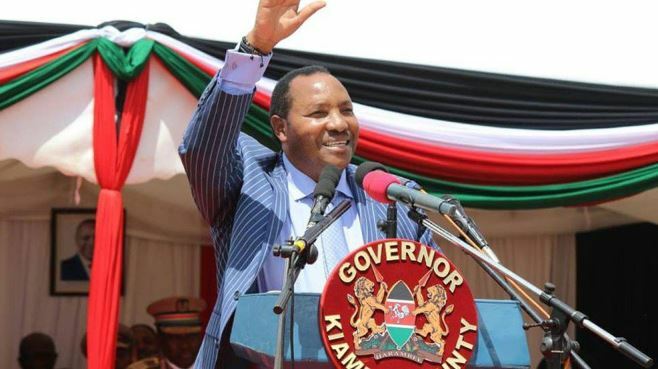 Kiambu County boss Ferdinand “Baba Yao” Waititu has finally acknowledged the numerous jokes and memes about his purported difficulties with the English language. While speaking at the Jkuat Graduation ceremony over the weekend, the governor rubbished claims that he cannot express himself in English. He also proved it by addressing the gathering in fluent English. Baba Yao assured Kiambu residents that despite the claims, he is committed to delivering 80 percent of his pre-election pledges. “Mimi ndiye baba yao. Some of you might have heard so many stories about me, some of them indicating that I cannot even express myself in English,” the governor said in a video posted on his social.